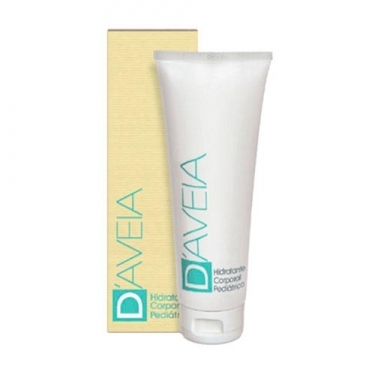 DESCRIPTION: Pediatric Body Moisturiser from D Aveia is a baby body moisturizer with recognized moisturizing, emollient, protective, soothing and softening properties. Its rich composition enhances the natural defences of fragile and delicate skin of baby and child. Promotes a soothing, soothing and regenerating action of dry, very dry, dehydrated or atopic skin. Hypoallergenic. Infant body moisturizer without parabens. Apply after bath, gently massaging baby or child's skin.